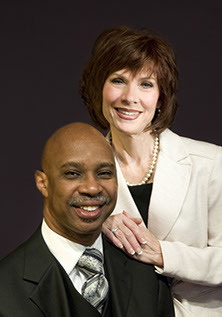 Pastor Leon Forté is founder and Senior Pastor of Grace Christian Center. He is a highly sought after and dynamic speaker who has traveled the nations to proclaim the Gospel of Jesus Christ. He and his wife, Linda, make their home in the Athens area. Pastor Forté grew up in Columbus, OH, where at the age of 24 he realized God’s plan for him to start a life-changing church in Athens, OH – a place where people who were distressed, discontented, and indebted would be trained to become the leaders of tomorrow. This vision became a tangible reality when Grace, then Adullam Ministries, was founded with 22 members while sharing space with another church. During that time the church grew exponentially. In a short time Adullam became Grace Christian Center and moved to its current location. In Pastor Forté’s over 25 years of ministry he has led thousands to Christ by sharing the gospel of Jesus that is at the heart of everything he does. He seeks to bring biblical truth into practical understanding. As a prophetic voice in the Church, his passion is igniting a fire here in our city and beyond. Pastor Forté attended Word of Life Bible College (World Harvest), was ordained through Victory Christian Center, and holds a master’s degree in theology from Jacksonville Theological Seminary. He has two children, Aaron and Kariss.